Sandra Denise (Siddle) Deshotels, better known to everyone as “DeeDee”, passed peacefully at home and went to be with her Lord and Savior on Sunday, March 24, 2019. DeeDee was born on June 24, 1967 in Jacksonville, FL. She moved to Jonesboro, Georgia, where she attended Jonesboro Senior High, and following to Athens, GA, where she attended the University of Georgia receiving her Bachelor’s Degree in Journalism. DeeDee then moved to Baton Rouge, LA to be with the rest of her family and start her career life. She had two beautiful baby boys, Brandon and Garrett that were her pride and joy. DeeDee was a lover of all animals, enjoyed cooking, and hanging with her siblings and friends. Even though she graduated from UGA she would admit that screaming for the LSU Tigers was of her favorite pastimes. 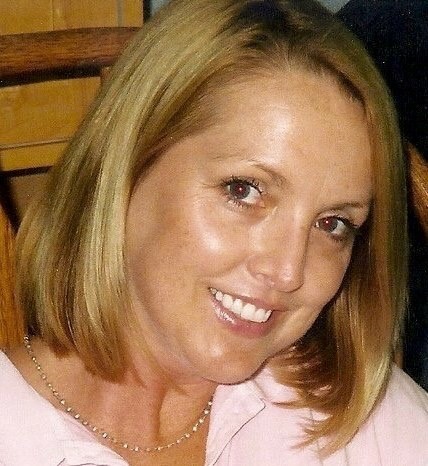 DeeDee is survived by her two sons, Brandon Deshotels and Garrett Deshotels; her mother, Trudy Siddle,; her brother, Duane Siddle and wife Stephanie; her sister and best friend, Mindy Siddle Michael and husband Beau; her nieces, Alex Siddle, Allison Tucker and Hannah Michael; her nephew, Kyle Siddle; many relatives old and new, and so many friends. DeeDee is preceded in death by her father, Charles Warriner Siddle and her brother Charles Darren Siddle. Visitation will be held at Resthaven Gardens of Memory & Funeral Home, 11817 Jefferson Hwy, Baton Rouge, LA 70817, on Friday, April 5, 2019 from 5pm to 8pm. Visitation will continue on Saturday, April 6, 2019 from 9am until funeral services at 10am. Burial will follow at Resthaven Gardens of Memory.